Being a barbarian is a thankless job. In the Civilization games, barbarians exist to give players somebody to beat up on early on, but they don’t get to build their own empires or take over the world. Of course, most people labelled “barbarians” throughout history were fully-formed cultures with rich traditions and motivations of their own. Jon Shafer’s At the Gates, the new crowdfunded historical strategy game from the designer of Civilization V, aims to give barbarians, specifically the various tribes that helped hasten the demise of the Roman Empire, their due. 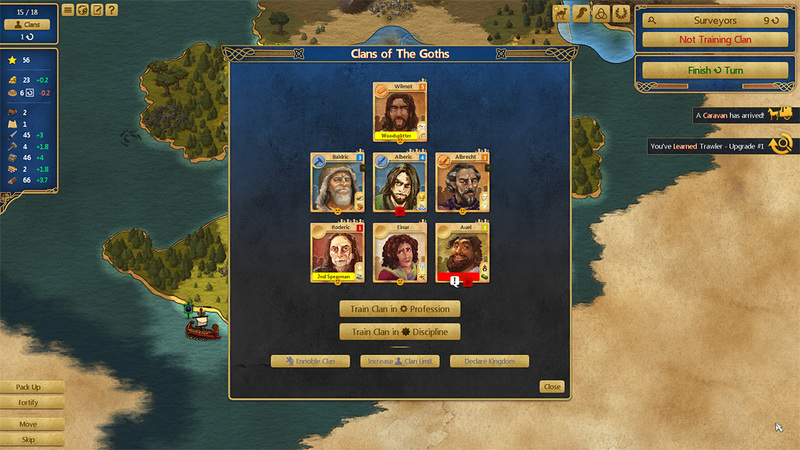 At its core, Jon Shafer’s At the Gates is similar to other historical strategy games like Civilization. You explore, exploit resources, and exterminate foes with the ultimate goal of taking over either the Western or Eastern Roman Empire. That said, there is one “X” missing from the typical 4X formula – there isn’t much focus on expansion. 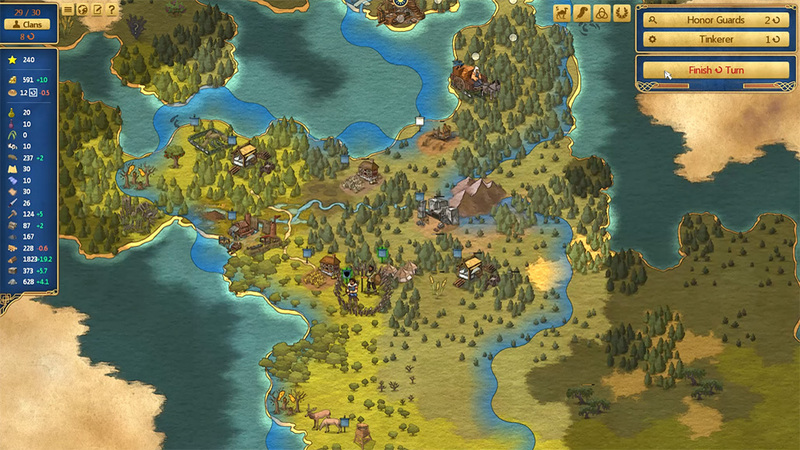 Unlike Civilization, where claiming territory by founding multiple cities is a major goal, At the Gates limits players to a single settlement. The tradeoff is that this settlement can be moved around freely, which you’ll have to do fairly often early on as the resources your people need to survive are easily exhausted. 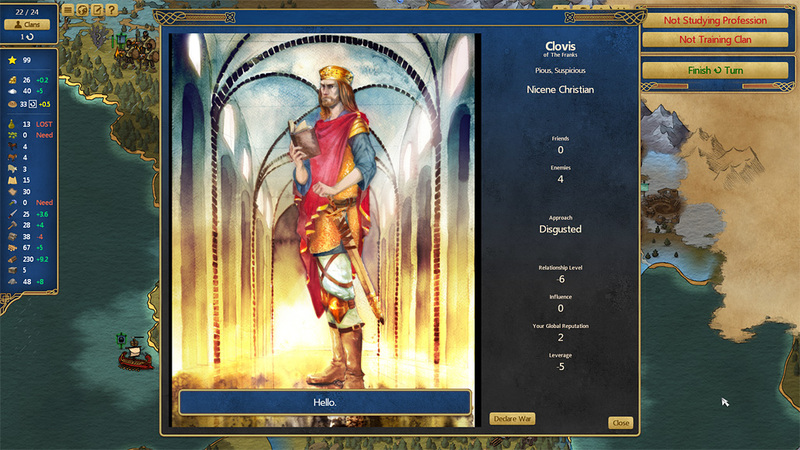 Instead of concentrating on enriching cities with various improvements, At the Gates is all about managing citizens, or “clans.” Citizen management has long been one of the most underdeveloped aspects of Civilization, so it’s interesting to see it focused on in such a major way here. New clans will join your faction on a regular basis depending on how much “Fame” you’re producing, and you can assign them to either work in your settlement or the field in one of dozens of different jobs. All jobs fall under one of six disciplines – Honor, Agriculture, Livestock, Metalworking, Crafting, and Discovery — with clans levelling up the longer they stick with a single discipline. The flip side is that clans also continually add more “families,” increasing the amount of food they consume. Initially, your main goal is simply to keep your scrappy band of barbarians fed. Seasons change in At the Gates, and during the cold months very little food is produced – if you didn’t stockpile enough, your people will begin to starve. The early years when you’re not entirely sure how to best use your clans can be slow and difficult, but, thankfully, caravans pass through every so often with cheap food and resources to purchase. Take advantage of them while you can. At the Gates has a ton of different resources to keep track of, which work together with jobs in complex ways. For instance, one of the most important resources you’ll need to eventually win the game are stone blocks – in order to get them, you’ll need a source of stone, a miner to mine it, and a block cutter, which you’ll need tools to train. Making tools requires a source of iron and a blacksmith. Once you have stone blocks, you’ll need cut boards to take full advantage of them, which require a source of lumber and a woodsplitter…and so on. It can be a touch baffling at first, but you’ll eventually get a handle on the exact combination of jobs and resources you’ll need to succeed. Frankly, a lot of jobs are rather useless, or only worthwhile in very specific situations – no need to train beekeepers unless you have a source of honey nearby or meat curers unless you have a source of salt. Protip: Amassing Treasure, iron/steel, and stone blocks should be your main goal. Don’t get too hung up on resources like food, cloth, or parchment, as they can all be bought easily enough from the caravan. Progression in At the Gates follows a fairly predictable path – you start as a hunter-gatherer society that moves around often, begin building improvements like farms and mines, then move on to stone-block structures, which are permanent and don’t deplete resources. At this point, you can declare yourself a Kingdom, which plants your settlement in place in exchange for various bonuses. While it’s nice to not have starvation and uncertainty breathing down your neck, it’s hard to shake the feeling that At the Gates becomes less interesting the longer you play. What starts as a unique take on the 4X genre eventually transforms into a rather shallow Civilization clone, with not a lot happening on a turn-to-turn basis. You clans will also start to get on your nerves. Most of them come with specific desires, and if you don’t fulfil them their mood and productivity drops. They’ll also enter into feuds with one another and randomly commit crimes, and there’s often not much you can do to fix the situation when they transgress. When two clans feud your options are to do nothing, which makes both clans unhappy, or punish one party, which makes them very unhappy. Clans that commit crimes bring everyone around them down, so your only real option is to send them out into the wilderness to pick berries or man a lonely watchtower. By the end of the game you ought to feel attached to your clans, but I sort of hated the whiny jerks. Ultimately, At the Gates’ lack of development resources shine through in unflattering ways. The game’s watercolor visuals are attractive enough but don’t impress on any sort of technical level, and basics like background music are completely missing. A number of the game’s core systems are also obviously unfinished – diplomacy is bare bones, enemy AI is braindead (opposing tribes aren’t even trying to win the game), and religion is completely superfluous. At the Gates’ endgame is also rather underwhelming. Rome’s power actually decreases with time, which is historically accurate but doesn’t make for a terribly satisfying climax. By the time I finally opted made my move, I crushed the once-mighty empire with a mere four powered-up knights. And then there are the glitches and outright broken mechanics. Currently, its impossible to entirely defeat rival factions – you can conquer their capital, but not annex their territory or stop them from spawning new units. You can also use your settlement to produce extra treasure every turn, even though you’re not supposed to be able to do so when training a clan. These are just the things I noticed – players posting on the At the Gates Steam forum have found many more oversights. Jon Shafer is promising updates, but as is, it feels like you have to play using the honor system as some of the issues seriously unbalance the game. Thankfully, I never encountered any game-ending or save-file-corrupting glitches, but others have. Depending on how quickly you cotton to At the Gates’ mechanics, a single game should take you about 8 to 12 hours to complete. 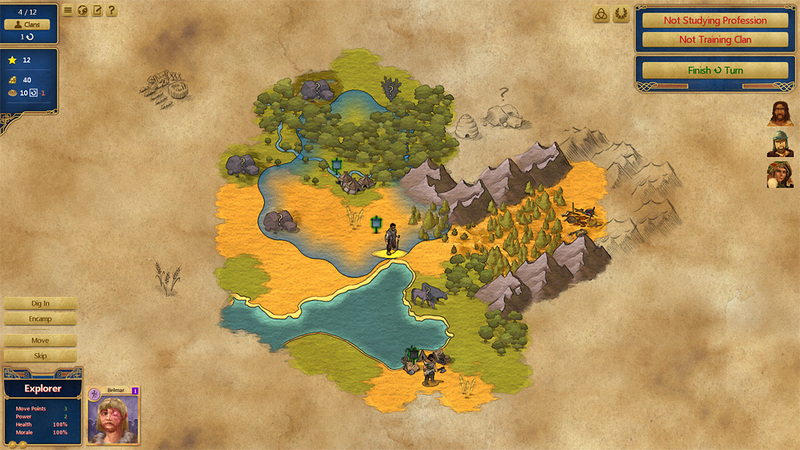 After that, I’m not sure how replayable it is – Shafer and company promise “roguelike” randomized maps that will increase in difficulty, but the game’s factions all feel fairly similar, there are no special scenarios to tackle, and once you figure out how the game works, achieving victory is fairly straightforward. After a couple games with these barbarians, you’ll probably be itching to return to Civilization. This review was based on a PC copy of Jon Shafer’s At the Gates provided by publisher Conifer Games. Should Jon Shafer’s At the Gates be judged for what it is now, or what it has the potential to become? The experience is hamstrung by glitches, oversights, and unfinished systems, but playing a 4X game from the perspective of the barbarians remains a fantastic concept and some of that Civilization “one more turn” allure is still intact. 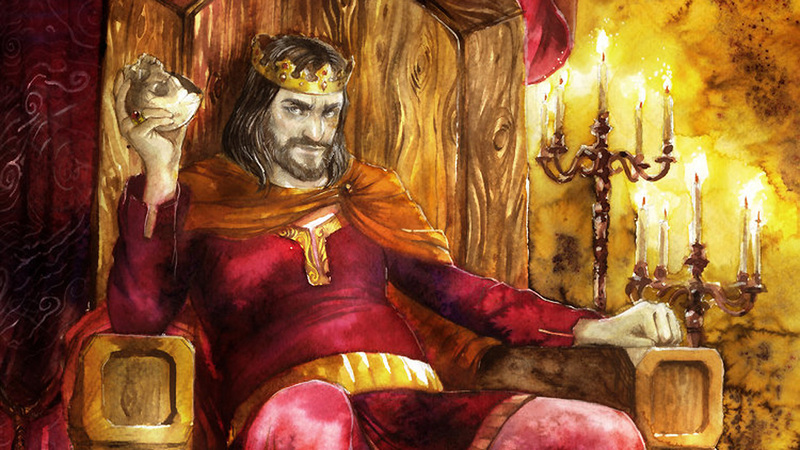 Forgiving types may want to give At the Gates a try now, but most others should probably leave the game out in the cold until a few updates are released.